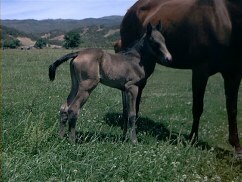 AQHA registered - That means breed your QH mares and register the foal AQHA not Breeding Stock Paint !!! 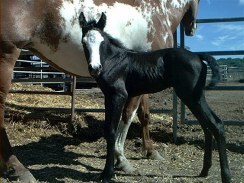 He is also registered APHA ! The Ultimate COLOR GUARANTEE of the Century!! 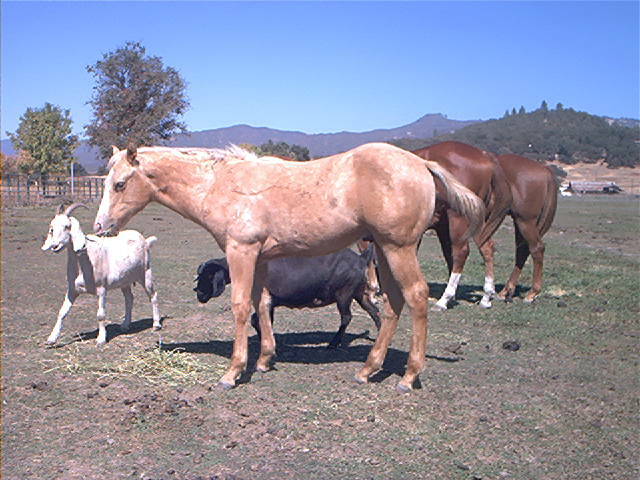 100% COAT COLOR Producer, can only sire dilute colors like Buckskin, Palominos, and Smokey black horses. 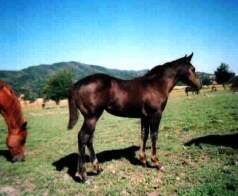 If your mare is a dillute mare you will also have a chance of a dillute baby. 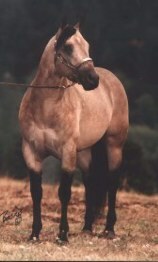 If your mare has the Dun Gene you could also get a Dunskin or Dunalino. MANY CHOICES HERE with this Guy ! 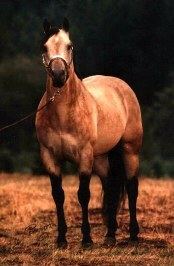 If any of this catches your eye come see this gentle stallion and put YOUR mares name in his Book. 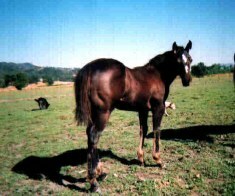 This AQHA / APHA Stallion's pedigree is loaded with NCHA Champions, halter, working cow horses, performance and All-around winning horses. His disposition is playful yet very well mannered. He stands apprx. 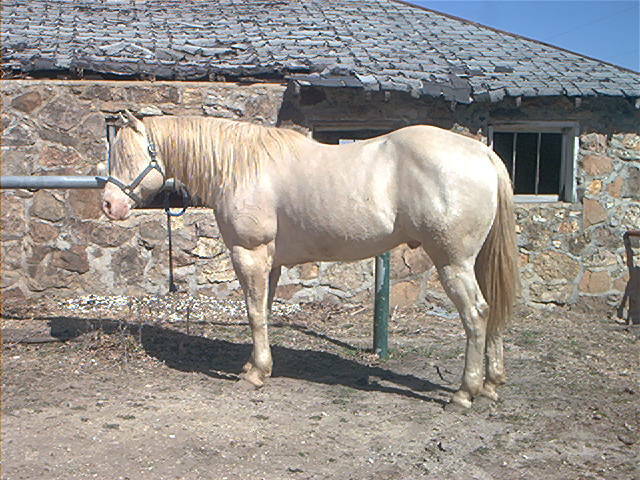 15.1 hh and he has a nice conformation too. 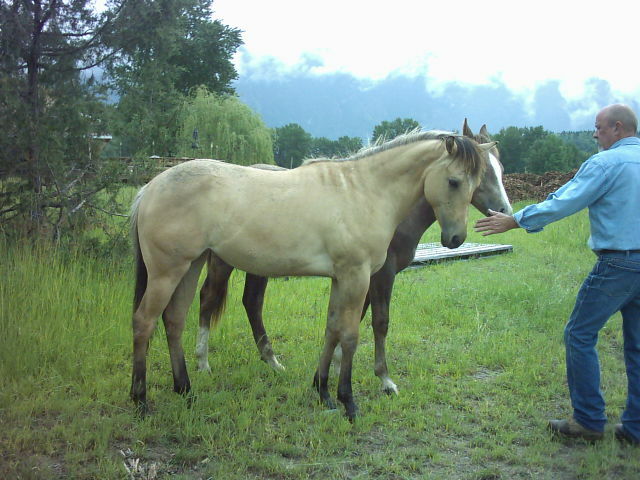 He was sent to some good friends in Nevada that rode him for us using him in all phases of cattle work. Word was they wouldn't mind keeping him longer. JUSTA NU SUGAR TWIST - Extended ped click here. 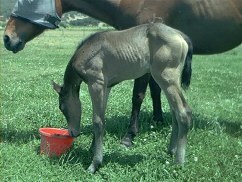 Pic's at 2 months old below, smokey black filly with slight dappling as well. 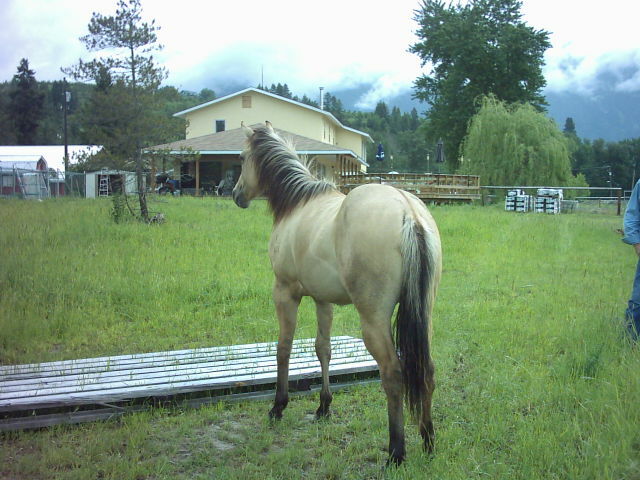 "Robin" lives in B.C. 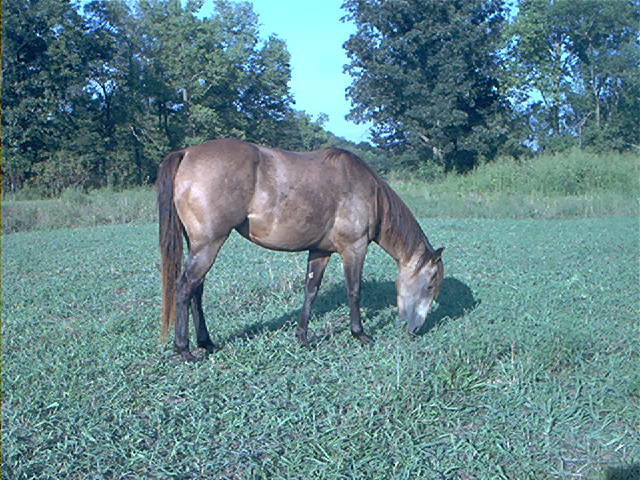 Dunskin Yearling pic below she is out of Grulla AQHA mare, and as you can see she has a dorsal.